Simple. Dressing goes on the bottom, then you layer with heaviest things first. Greens go on top and stay fresh cuz no liquid hits them. 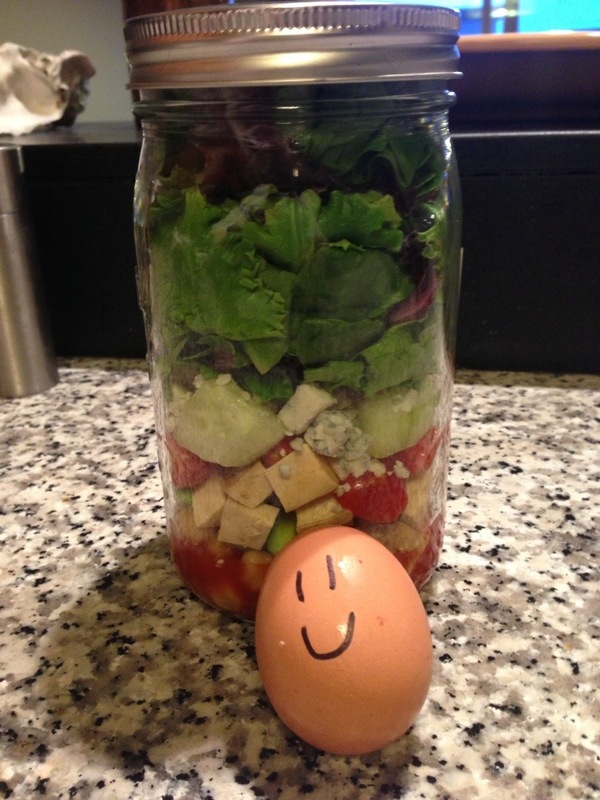 When it’s lunchtime, shake the jar like crazy and dump it out on a plate (larger that you would imagine), and you have a beautiful, lettuce on the bottom, fully dressed salad! Yum!! Okay, back to fiber. I have a post in my brain to write soon about what I have learned in the self taught raw-fleece-to-drum-carder-to-yarn process, but I will save that for another day. Besides, I think I still have some lessons to go! In the meantime, this is uber exciting to me. Beautiful fleece, and it actually washed up white!!! I am going to spin some bouclé with it this weekend. Can’t wait!! This entry was posted in Fleece Processing, Foodie moments, Real life? and tagged drum carder, healthy eating, knitting, raw fleece, Spinning by Leah. Bookmark the permalink. Looks lovely- where do u buy your fleece? Also, when u wash it to get it ready to spin or dye, is that time consuming and a lot of work?? 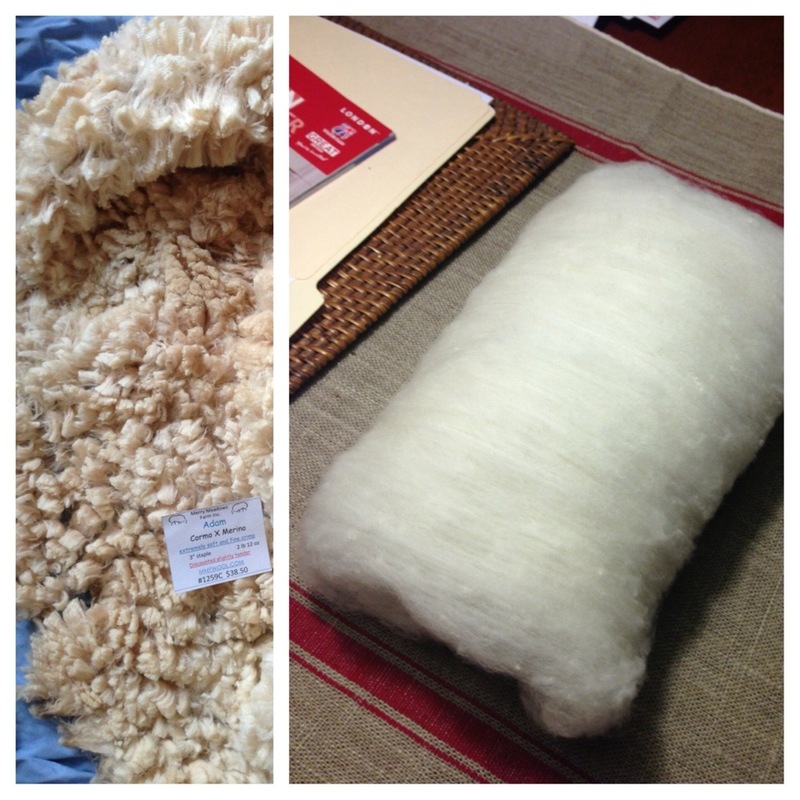 I ordered the fleece I really like from a seller on ETSY, MMFWool. But in a few weeks I’m going to my first fleece sale..whee!! I really want to buy locally, and it’s taking some research to do that. I find using Tide liquid detergent works best for washing my fleece. Cool idea, thx! I have still had bits of lanolin left, but not too much. I will try that!